What is it about guys with guitars in their hands that makes them so irresistible, even when they are obviously self-centered jerks? If Abby and Maggie could answer that question, maybe they could finally get over Nathaniel. There’s just something about him when he picks up his guitar and gets behind the microphone, something that makes sensible women act like teeny-boppers instead of rational, self-respecting adults. Abby was first sucked in by Nathaniel’s rock ’n roll swagger four years ago when a drunken fling turned into a series of drunken hook-ups that became something like a relationship. Now, as New Year’s Eve promises a fresh start, she wants to believe he’s finally going to grow up and take their relationship seriously. What does Nathaniel hope the new year will bring? An escape from the disappointing realities of his life. He’s thirty-four years old and he’s barely making ends meet as an adjunct philosophy professor, which was always only a back up plan anyway. Nathaniel's real goal was always to make his living as a musician, but his band, The Latecomers, broke up a couple of years ago, and he hasn’t picked up his guitar in months. When he decides to spend the holiday with some high school friends instead of hanging out at the bar where Abby works, he gets the happy surprise of reuniting with his long-lost friend Maggie. Newly divorced, Maggie has just moved back to her mother’s house to regroup. Nathaniel and Maggie were supposed to be the ones who left Worcester forever to conquer the world. He was going to be a rock star. She was going to take the world of art by storm. He’s never gotten farther than Boston, and her best effots only left her broke and heartbroken. As they ring in the New Year together, Nathaniel decides it’s time to take control of his life and to start making his dreams come true. He thinks the first step will be easy. All he needs to do is break up with Abby and finally admit his feelings for Maggie. But the new year has more surprises in store, and nothing is ever as simple as it seems. People seem to believe—and Maggie herself once thought—that divorce was the result of some cataclysmic event, that a marriage in trouble reached its end like a pot boiling over. But her experience taught her otherwise. It was more like a pot set on a burner to simmer and then forgotten until the contents evaporated and all that was left was a blackened pot. No one ever told you that an argument over how to load the dishwasher could be the end of your marriage. And, Maggie wondered, in cases like hers—the slow simmer and burn of her six years of marriage—how do two reasonable, responsible adults who are clearly incompatible in fundamental ways make the decision to get married in the first place? How in the world had she and Andrew ever thought marriage was a good idea? One night shortly after she filed for divorce, Maggie had called her mother and asked her that very question. “You married him because you were in love,” her mother had said, but that wasn’t it at all and Maggie knew it. She had never been in love with Andrew. She had been attracted to him. She had been attracted to the lifestyle he could provide for her. But she hadn’t been in love. No, she believed that romantic love was a myth, a fairytale, a childish notion, and she had told herself to be practical. What everyone wants is companionship and financial security, and Andrew could provide those things. She thought Andrew was similarly pragmatic. They were not the sort of couple who said “I love you” a dozen times a day. And even now, even though it hadn’t worked out, Maggie didn’t think the failure of their marriage was due to a lack of love. She thought she could survive that if other parts of it were okay, but Andrew hadn’t been the companion Maggie needed, nor had she been what he needed. How do you explain any of that at a New Year’s party to someone you haven’t spoken to in fifteen years? How do you explain that you wept in front of the TV during the wedding of Prince William and Kate Middleton because you couldn’t warn her that she was making a terrible mistake, that she wasn’t going to have a fairytale life as a princess, that the only life she was going to have was the one he said she could have from now on? When pressed by someone to give a more specific answer, Maggie always chose the shortest version of the story: he wanted children, she didn’t. I am having the hardest time writing this review! Some review come easy, some take a little finessing, and some, like this one, are like pulling teeth because you just aren't sure how to describe what you just read. The Latecomers Fan Club hits middle of the road for me. It is an intriguing story, a bit different from most things on the market. It is realistic with humor and tough choices. Maggie, Abby & Nathaniel are intertwined. Their lives have taken different turns than what they set out for but it seems fate has some surprises in store for each of them. I have to admit Maggie is my favorite character. I wasn't a big fan of either Abby of Nathaniel. I did like seeing how circumstances forced them to reevaluate choices in their lives and change the path they were currently following. 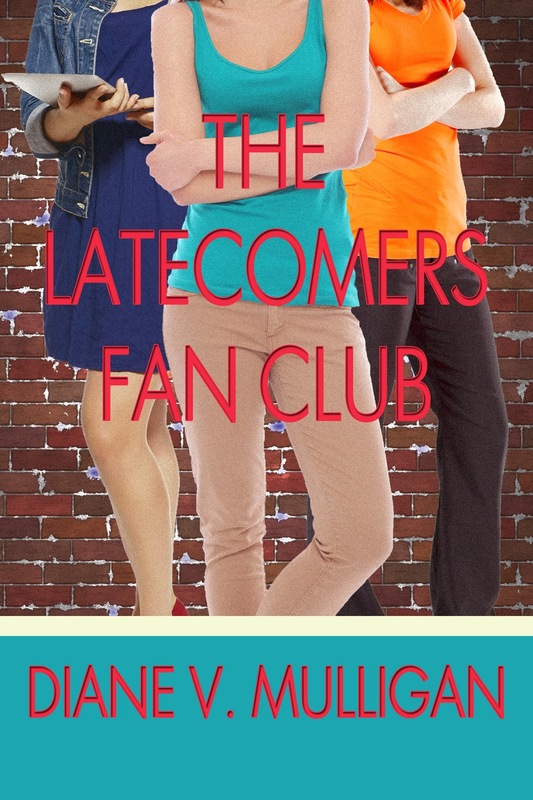 The Latecomers Fan Club is a great book for a book club read as there are lots of points for discussion. The situations portrayed in the book are realistic and there is a sense that what the characters go through could happen to anyone. Diane Vanaskie Mulligan began writing her first novel, Watch Me Disappear, during an after-school writing club she moderates for high school students. She published it in August 2012. It was a 2013 Kindle Book Review Best Indie Book Award Finalist in the YA category. 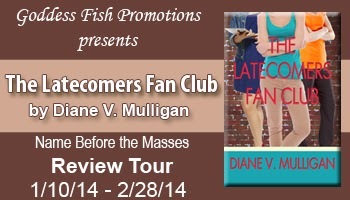 Her second novel, The Latecomers Fan Club, will be released in November 2013. Diane holds a BA in American Studies from Mount Holyoke College and a Master’s degree in teaching from Simmons College. 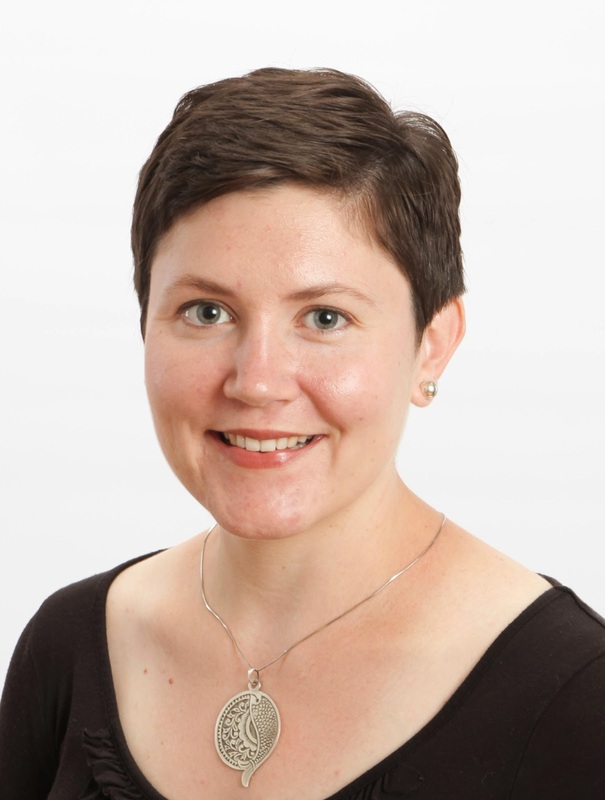 When she isn’t teaching or writing, she’s the managing editor at The Worcester Review and the director of The Betty Curtis Worcester County Young Writers’ Conference You can also find her occasionally strumming her guitar and singing at various bars in central Massachusetts, where she lives with her husband. An interesting review. I wonder how I will feel. Thanks for hosting and for your thoughtful review! It's been really interesting for me to hear how different readers reacted to the different characters. 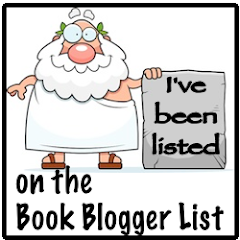 Sounds like a great read, added it to my TBR list! Thanks for the giveaway! The blurb sounds good, and I appreciate your review!